Major truck stop locations in any state across North America and Canada. Check current fuel prices updated daily. Get directions. Locate service centers,restaurants, travel stores and more. Most of these truck stops offer a reward program for fuel purchases. A listing of most major truck stops. Click on the Truck Stop Logo's below to take you to that truck stop. All American Plazas, Inc. strives to be an integral part of the transportation system providing both the professional and leisure driver with clean travel plazas and a courteous, knowledgeable staff. We are committed to offering quality food, merchandise and fuel at competitive prices, and to treat all patrons with honesty and respect. We will encourage open communication between our customers and staff, and every employee will be innovative in improving our service to every customer. Our goal, to operate at the highest possible standards within our industry, will be un-compromised! Flying J truck stop locations is Driven by Drivers Choosing to become a Frequent Fueler member may well be one of the most important decisions you make as a professional driver. Not only will you receive Flying J’s premium quality, competitively priced fuel and services at beautiful one-stop facilities, but you may receive personal bonuses as well. Founded in 1964 by Tom Love, Love's Travel Stops & Country Stores is headquartered in Oklahoma City, Okla., and remains family owned and operated. With more than 200 locations in more than 30 states, Love's current growth rate is approximately 15 stores per year. Love's is currently ranked No. 25 on Forbe's Magazine's annual listing of America's largest privately held companies. From the first filling station in Watonga, Okla., the Love's commitment has remained the same: "Clean Places, Friendly Faces." Love’s takes pride in having well organized, clean facilities where you will always be provided with excellent service and a friendly smile. With Travel Stops and Country Stores located coast to coast offering a vast array of food, beverages and traveling supplies, we guarantee that you will find what you are looking for. As a member of the Pacific Pride network, your drivers will have access to over 1000 fueling sites across the USA and Canada. Petro truck stop locations is the nation’s premier travel plaza chain with facilities designed to meet the needs of today’s professional drivers. With locations from coast to coast and border to border, our facilities set the standard for all travel plazas. Our customer service demonstrates our sincere respect for drivers. Now in our 32nd year of business, Petro remains the highest rated truckstop chain in the nation and the clear Choice of America’s Drivers. Pilot Travel Centers LLC truck stop locations is the nation's largest retail operator of Travel Centers, catering to the professional driver and traveling motorist in more than 40 states with over 300 retail interstate properties. Customers will find nationally recognized fast food restaurants serving hot meals 24/7, and many travel conveniences such as showers, ATMs, internet kiosks, check cashing, money orders, laundry, game rooms, public pay phones with data ports, audio book rentals, Western Union, pre-paid phone cards, and truck washes, truck service centers, and CAT Scales. Pilot Travel Centers LLC is headquartered in Knoxville, Tennessee and employs 13,000 nation-wide. Fast , Friendly, Clean…You can count on it! Whether you’re a professional driver, a business traveler, or a family on vacation, Pilot Travel Centers is your one stop for convenience. Fill up your vehicle, grab a bite to eat in one of our quick-service restaurants, unwind with a visit to our video game room, and stock up on your favorite road trip supplies all in an environment that is Fast, Friendly, and Clean. Sapp Bros Truck Stop locations was started by the four Sapp brothers in Omaha at the junction of I-80 and Highway 50 in 1971. We feel that customer service extends well beyond the routine, universal “Have a nice day” and smiley faces. Greeting our customers and responding in a speedy and courteous manner is our number one goal, to making you feel as important as you really are! The coffeepot logo, which is recognized nationwide, began as a simple water tower in 1971 to supply the needs of the businesses that were located to the west of the Omaha metropolitan area on Highway 50 and not accessible to the conveniences of city water and sewer. A short time later, the coffeepot handle and pour spout were added to the refurbished water tower and the landmark became known to Omaha residents and I-80 travelers alike. 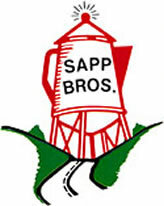 Since then, Sapp Bros has been identified with the coffeepot symbol, which invites all to stop at our locations and “Welcome Be Our Guest”. Speedy Rewards transforms your everyday Speedway and SuperAmerica convenience store experience! Every time you make a purchase, excluding restricted items, you will immediately start earning points towards gasoline discounts (where applicable) and/or free merchandise, as well as coupons for valuable savings just for using your Speedy Rewards membership card inside the store or at the pump! Know of any good truck stops that are not a part of a major chain? I believe small truck stops that are not a part of large chains are the best place to stop and rest and eat. Lot of good small truck stops still exist but are being passed up for the large chains. Please support these dying truck stops before there all gone. 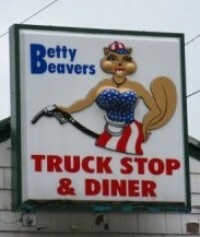 Share your favorite truck stops here.